Home > Realty - Smart Cities > Housing for the informal sector : There is a huge opportunity for private real estate developers in India..! Housing for the informal sector : There is a huge opportunity for private real estate developers in India..! The year 2016 turned out to be a year of transition, particularly for real estate – a sector that has been directly or indirectly affected or altered by most policy reforms introduced by the state or central governments. Some of these policy changes might seem disadvantageous in the short run; however, they will render the entire system more mature, organized and transparent. The recently-announced Union Budget 2017-18 has yet again emphasized the importance of housing, and has accorded infrastructure status to this sector. It is important to attract the attention of all stakeholders to this sector, particularly those who influence supply – developers and banks. Given the benefits offered in the budget, the clearer definition of affordable housing in terms of area, relaxation of construction timelines for affordable housing projects, and tax incentives, it is evident that India is moving towards significantly reducing its share of homeless people. The traditional factors influencing housing demand keep fluctuating due to policy interventions; yet, consumers keep investing in real estate. This is evidenced by the fact that housing sales velocity has not dropped significantly anywhere in India due the various policy reforms. Moreover, today’s market primarily consists of buyers (as much as 80%) who depend on loans for financing their housing needs. Of all the policy initiatives, the Housing for All (Pradhan Mantri Awas Yojana) and the Smart Cities Mission are two major flagship policies that have affected the demand and supply trends of residential real estate, and have a huge impact on addressing the issues of informal housing / housing for the urban poor. The recent Real Estate Regulatory Act does not concentrate on incentives to promote informal housing, though it increases transparency in the formal residential market. Affordable housing shortage continues to be a major concern in the country today, and can be correlated with the rate of urbanization taking place. According to the Census of India 2011, India’s urban population increased to 377 million, reflecting the rise in urbanization from 27.8% to 31.2% between 2001 and 2011. This rate of urbanization has led to many issues such as land shortage, housing shortfall, severe pressure on available infrastructure, transportation deficits and stress on basic amenities like water, sanitation and healthcare. At present, there is a shortage of 18.8 million homes across urban centers of India, of which 15 million are needed in the LIG (Low Income Group) category. Large-scale budget housing projects are definitely the need of the day to address the mammoth shortfall. The Housing for All mission envisions a multitude of strategies such as tax rebates, monetary support, relaxed development regulations, discounted interest rates, etc. to provide Housing for All by 2022. The Housing for All and Smart Cities missions, through convergence, use the benefits given to each other and also compensate for shortcomings by leveraging their advantages. While Housing for All concentrates on funding and incentives for developers and buyers, the Smart Cities mission focuses on leveraging land availability, implementation under single entity SPVs (Special Purpose Vehicles), and strengthening basic infrastructure facilities. As part of the Smart City initiatives, some Indian cities have planned convergence with the Housing for All scheme to address the informal housing sector. Some of these initiatives would include housing for economically weaker sections or affordable housing, slum redevelopment, rental housing, working women’s hostels, shelters for the homeless, etc. as part of the Smart City plan. All these would be developed through the PPP model with the involvement of private developers. This has been successfully adopted in Bhubaneshwar Smart City, which ranked number 1 in the Smart Cities Challenge competition by the Ministry of Urban Development, Government of India and JLL India, which was the consultant for preparation of the smart city proposal for Bhubaneshwar. There is a huge opportunity for private developers to get involved in the development of housing for the informal sector. Land price is the major component of any housing project in urban areas, and currently forms an average of 30-50% of the cost of a project within city limits (depending on the location and applicable FSI). This cost plays a major role in the pricing and affordability of residential units. Smart Cities leverage available Government-owned land parcels within the specified areas for development for housing for the urban poor and the informal sector. Utilizing such land parcels at a subsidized rate will drastically reduce the pricing of the resultant housing units. Another major component is the cost of construction and escalation of the cost during the construction period. To address this issue and make housing for the informal sector more feasible, it is important to reduce construction costs and construction timelines. However, a majority of developers use conventional construction methods, which are time-consuming. Projects often face time and cost over-runs, and increase in the construction period increases the cost of financing. 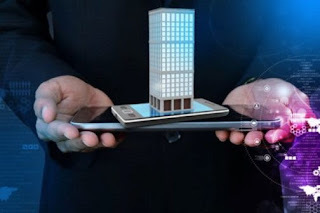 Technology intervention in construction such as prefab technology will definitely address the gap between time, efficiency and funding for mass housing projects which are part of the Smart Cities initiative. Most of the smart cities in India have adopted the redevelopment model for ABD (Area Based Development). These areas are either the CBD or areas which are located well within the city limits. This gives an opportunity to address the housing needs of the informal sector by redeveloping the area with quality housing, since most of the existing urban informal housing is in such locations. Redevelopment of various other areas could also have housing as one of the options, or as one among various products, with the cross-subsidization model to provide more housing units and reduce the existing shortage. The Smart Cities mission aims to create and maintain high-quality, 100% efficient civic infrastructure. The efficiency of the utilities in our cities has been an elusive factor so far, thanks largely to inadequate monitoring and responsiveness. Electricity, sewerage, storm water drainage and water supply will be strengthened in Smart Cities, relieving the stress that large-scale housing projects invariably create on a city’s infrastructure. Service delivery at the level of the Urban Local Bodies is another area where major improvements are sought. Smart Cities not only depend on their own funding (i.e. contributions from central and state governments) but also act as the base for lot of other financing options apart from FDIs. Availability of funding is ensured through convergence with other government schemes, funds raised from the state governments, municipal debt, Real Estate Investment Trusts (REITs), infrastructure debt funds, and the PPP vehicle. A stable cash flow will ensure successful completion of the project, which is a major concern in most other initiatives where projects are stalled due to lack of funding. There is a huge opportunity for private players, since the Smart Cities mission encourages participation of private entities under monitored terms and conditions, thereby increasing the productivity and quality of the projects. This will provide an integrated platform for private players such as housing developers and infrastructure service providers. Since the funding and the revenue system are distributed across projects within Smart City initiatives, the mission proves profitable for all involved service providers. Smart Cities are implemented through Special Purpose Vehicles – and if a housing component is included, the implementation becomes smoother and encourages private developers to participate since SPV will plan, appraise, approve, release funds, implement, manage, operate, monitor and evaluate all Smart City development projects. SPVs will ensure a substantial revenue stream for all the projects included within the Smart City proposals, also ensuring effective utilization of funds. As India’s urban population continues to grow, there will be an increasing number of urban poor and informal housing settlements – addressing their housing needs is going to become critically important in the years to come. India is struggling to implement a ‘right project at right time’ approach, and getting the basics right at this point in time can help the country cope with the pressures of informal housing and rapid urbanization. The convergence of schemes such as the Housing for All and Smart Cities missions will be most appropriate to achieve optimal results with proper implementation. Isolated policies will yield much lower results. Overall, the goals for urban development in India should be to create sustainable, inclusive and smart urban centers with good housing standards and participation of the private sector.